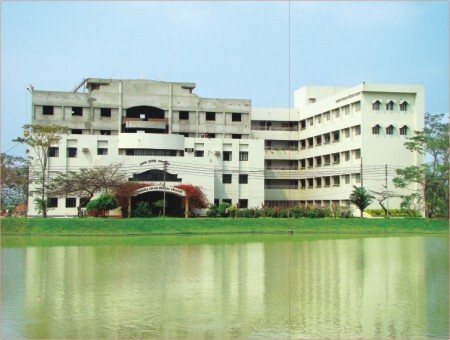 Jahurul Islam Medical College, a renowned medical college of the country, started its journey in 1992 at Bajitpur (Bhagalpur) Kishoregonj. Recently former students of the college joined to enjoy a rocking reunion festivity on the campus. For the readers of Star Campus here is a brief account of the college and the celebration itself. 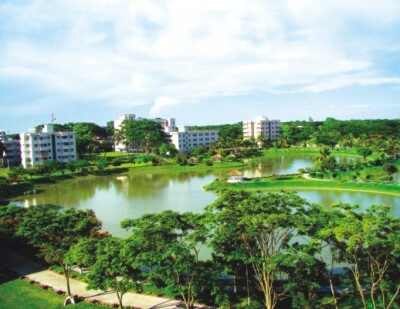 The college campus is unique with a clam and quiet environment which provides the best opportunity to the students to pursue medical education. In one word the natural beauty of JIMCH campus can be said - mind blowing. 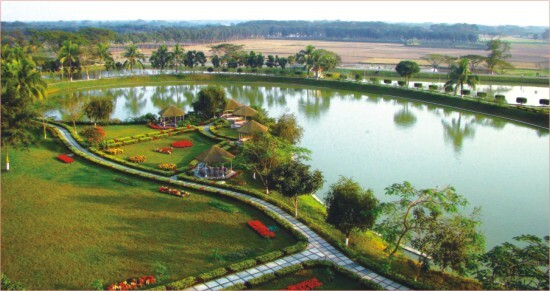 The entire campus is situated far away from the crowded cities in a well-secured and well-planned sprawling area consisting of a number of modern buildings, walkways, a lake and gardens. The college building has a number of lecture galleries, class rooms, practical labs, rooms for administration and a large library. Labs are well equipped and the lecture galleries and class rooms are provided with all sorts of multimedia facilities. Girls and boys have separate hostel buildings accommodating around 400 students, providing all the facilities necessary for a healthy living. Modern design and facilities of the hostels draw attention of all local and foreign visitors. The hospital building is a multistoried structure, each having 5 floors, more than 400 beds with a C.C.U and other required facilities. All the wards are well-equipped with modern facilities and the hospital also provides outdoor facilities at a very cheap rate of only Tk 20. For such a low price poor people get treated by specialist doctors. JIMCH has been built with a mission to offer modern and need-based medical education and serve the humanity. JIMCH is endeavouring to develop itself into an institution that will meet the health needs of the 21st century. Now a few words about the reunion. 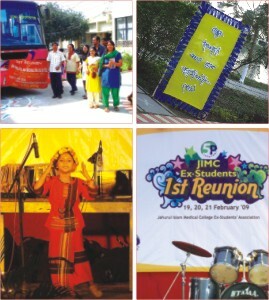 The "Grand Reunion of JIMCH" was celebrated from 19 to 21 February by all the present and former students of the college. The theme of the reunion was “Shotirthora Chirokaler Bondhu” (Fellow Students Are Friends Forever). The slogan itself reflected the objective of the reunion. After long 17 years fellow batch mates met one another. On 19th February, the recption committee eagerly received our seniors who started to arrive one by one. They all became quite nostalgic after walking about on the campus they once were part of. They talked about their student days and tried to recall many small memories of the days of the campus. They appreciated the matural beauty of the campus as it was not having so many flower gardens and large trees those initial days. Prof. Zahirul Islam Biswas, Director of JIMCH was the chief guest at the event, Prof. Bahar Uddin Bhuiyan and Prof. MD. Rezaul Bari were present as special guests. The function was presided over by Prof. Syed Mahmudul Aziz, Principal of JIMC. All teachers and students of the college were present to enjoy the grand event. Distinguished speakers highlighted the importance of this function which brought together all the previous and present students of the college under the same roof. Among the teachers, Prof. Abdul Khaleque, Prof. Sharif Md. Shahjahan, Dr. Baker, Dr. Dipali and some other teachers gave their speech. All of them shared their experiences as students as well as in professional life. They also said how proud they were as teachers of such a renowned institution and advised students to work hard to fulfill their ambitions. The Grand Reunion was organised by JESA ( JIMC Ex. Students Association), the opening ceremony was hosted by Dr. Joli of batch J-1. She was very methodical in her work and she organised the whole programme with a touch of excellence. After the inaugural session, JESA presented the musical night. Dr. Bappi, Dr. Rashid, Dr. Sohag, Dr. Shantanu and other participants kept the audience spellbound with their attractive voice and music. And thus ended the first day. The next day started with a rally in which all participants wore Reunion T- Shirt, and also a 20-20 cricket tournament between current and former students was organised. The entire campus was decorated with colorful flags, festoons and pintings. When I talked with Dr. Joli (J-1), Dr. Bappi (J-2), Dr. Jubi (J-2), Dr. Munim (J-3), Dr. Robin (J-4), Dr. Shantanu (J-5) , Dr. Foyez (J-8), Dr. Anirban (J-11), Dr. Disha (J-11), Dr. Sanjoy (J-12) and some others they all appreciated the programmes and expressed their delight at being on the campus after somany years. Some current students like Asad, Munni, Sajib, Priyo, Sagor and Sajal were very happy to be a part of this reunion. In the same evening there was a cultural show performed by the students and teachers, their children, and then there was a band show at night. On the third day it was time to go back to our destinations with the hope in our minds that we would meet again on the campus. This reunion has taught us many things. It helped us explore and experience friendship and fellowship. It was full of excitement and great achievement for all of us. We also got to know how to work as an ideal team and get things done within the deadline. Thanks to JESA, Thanks to JIMC. Best wishes for the “Grand Reunion of JIMC'09”. Jahurul Islam Medical College (JIMC), hospital and Nursing Training Institute (NTI) have been established under the Aftab-Rahima Welfare Trust. The great philanthropist of this area Mr. Jahurul Islam was the founder of these organisations situated near his ancestral home. The hospital and NTI was set up in 1989. In the first phase, a 250-bed hospital was put into service. In its final and ultimate phase of completion, the hospital started with 500 beds to provide treatment, surgical and emergency facilities. JIMC was established as a fully residential institution on 26 August 1992. Medical Council Great Britain. The Hospital is equipped with most modern instrument & facilities offering round the clock services including emergencies for indoor as well as outdoor patients. The Nursing Institute has the approval of Bangladesh Nursing Council and the Directorate of Nurses Services (DNS). Bhagalpur, Bajitpur is about 110 km north east of Dhaka city. It is connected by Egaro Shindur Express train and has excellent road connection with the hospital. In either ways, it can be reached within three hours only. Total 18 batches have entered JIMC. Among them 12 batches have graduated already. They are named as J1 J18 according to the seniority. Our senior brothers and sisters have formed the organization. Most of them are working in good positions all over the country and abroad. The aim of JESA is to maintain a good relationship between the seniors and juniors to know each other, to arrange a get together and to help each other in every stage of life. Any former student can apply to be a member of JESA. The members are increasing day by day. I am an ex student of JIMC and has left the campus recently. Now I feel that in every step of post graduation studies, training, jobs we need the help of our seniors. So, we need to maintain a network, which can be possible by arranging the re-union. The re-union was the meeting place for past and present students to exchange their views and idea, act and react, work and relax, enjoy and share their feeling. It is very important for the juniors to be inspired by the seniors who are already in the respected positions. It is also an opportunity for the ex-students to show their love, respect and duties to the medical college and teachers. It is different for those who are not a member of JESA to visualize the great significance of this reality.So, let us broaden our horizon and widen our vision as proud members of JESA. Our dreams shall only come true by the active participation of the members. Our heartfelt thanks go to our teachers, seniors, friends, well wishers and parents for their contribution in making this celebration a great success.